Expect a warm welcome and professional care tailored to your wellness needs. Each massage is personalized using techniques and pressure appropriate to your needs and preferences, so that your body, mind, and spirit can ease into a place of comfort and relaxation. You will receive your massage session in a peaceful environment with soothing music and low lighting. Before your first massage, you will fill out a brief health history and together we will determine goals for your session. Your massage will likely include many types of bodywork depending on what we want to accomplish in a given area. Each massage is unique to your needs and will vary from person to person and session to session. You will undress in privacy to your level of comfort. You may choose to completely disrobe or remain in an undergarment. You can always count on fresh, clean linens and a comfortably padded table. The addition of arm rests add extra width to the table for your comfort. During the massage you will be covered or 'draped' with sheeting and/or a blanket. Only areas being worked on will need to be exposed. This time is yours. You may drift off, engage in conversation, or silently meditate as you wish. Your comfort is key and you are always encouraged to communicate your wishes as the massage progresses. Need an extra blanket, pillow, or music adjustments? Just let me know! After your massage, you will dress in privacy. We may take a few moments to go over self-care options and schedule your next appointment or you can simply ease out the door and get in touch with me as needed. Thank you for visiting my website. Please feel free to contact me with any questions or concerns you may have about massage. 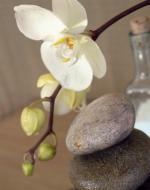 Balance Bodywork & Massage is a state licensed massage establishment. As a licensed therapist within a licensed establishment I am proud to offer services that follow the guidelines and standards of the Board of Massage Licensure as regulated by the Tennessee Department of Health. This means that you can expect a therapist who values and upholds a professional code of ethics and a facility that is inspected and maintained to provide you with a safe and hygenic place for treatment.